The Call and Response show has become a community tradition and something of a magical mystery tour for viewers. 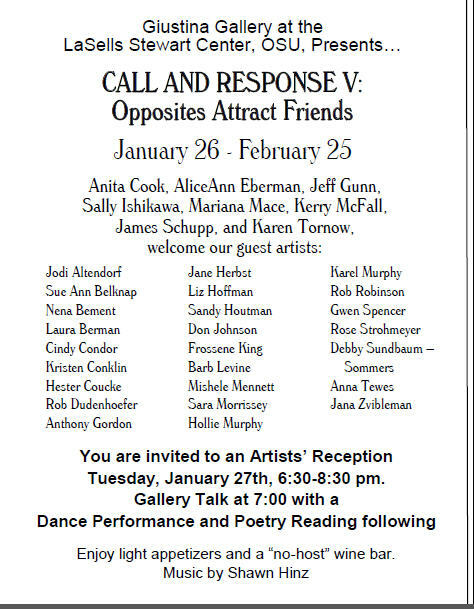 This will be my 4th year responding to our seven other members, plus we’ve added a couple dozen guest artists! 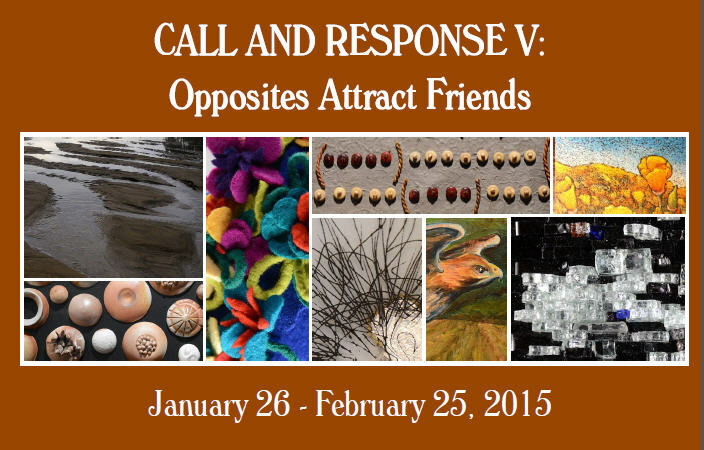 As a viewer, your job is to figure out how each “response” relates to the original “call” – this year’s overall theme is Opposites. Sometimes it takes three or four times around the gallery to see all the connections… It’s fun! Let me know if you’d like a personal guided tour – I can give you a few hints here and there! I’m also going to post each image here along with commentaries once the show gets going – stay tuned. This entry was posted in Works and tagged Call & Response, Corvallis art galleries, Corvallis artists, Giustina Gallery, LaSells Stewart Center, local artists, OSU gallery, Paintings by Kerry McFall on January 17, 2015 by Kerry McFall.